Among the endless headlines about wondrous self-driving cars, terrifying physics-based hacking innovations, and entertaining smartphone apps, it’s easy to forget about the simple telephone. The telephone may not get a great deal of spotlight time, but it plays key communications roles. 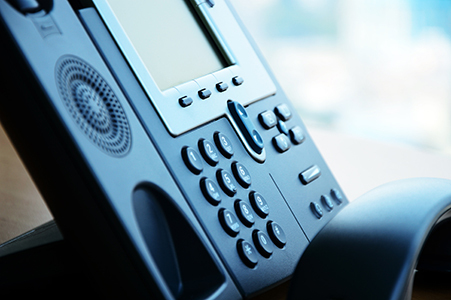 The VoIP phone, in particular, remains an essential component of most organizations. VoIP phones keep companies connected by simplifying phone numbers lists, allowing higher ups to screen calls, and providing quick and easy access to employees within the network. Many companies make VoIP phones. How do these companies’ products compare? Let’s take a look. Experience – According to their website, Cisco have been doing IP-based communications longer than anyone. Quality persists. Variety – Cisco has a phone for every type of network. Smaller companies might want to start off with the basic 3900 series phone, which offers no-frills high quality sound, while remote workers will love the 8800 series, which includes HD video conferencing technology. Certified quality – Last year, Frost & Sullivan bestowed upon Cisco the Global Enterprise IP Communications Endpoint Market Leadership Award, citing the company’s business strategies and superlative customer service among its reasons. Avaya has made a name for itself as a communications provider for midsized and small businesses. Their company might not pack the punch of an industry titan like Cisco, but Avaya’s team has proven repeatedly that a moderate sized company can keep on top of a crowded, competitive market. Focus on midsized and small businesses – Avaya has worked for years to meet the needs of smaller companies. Not every company is a huge corporation. And not every company’s communication systems should run like those of a huge corporation. If you’re a midsized or small company, consider equipping yourself with Avaya systems. Forward-looking attitude – Avaya strategies incorporate user demographics, and the company prides itself on proactively responding to the needs of younger users. Their designers strive to enable the remotely-connected office of the future. Options – Avaya currently sells 17 types of phone. That gives your company a wide range of options. Sound quality – Polycom’s phones boast seriously clear audio quality, ensuring accurate communication among clients, staff members, and customers. Their HD Voice technology boasts “two to four times the clarity” of ordinary phones, according to their website. Reliability – Polycom understands that a phone is only as good as its consistency. Polycom phones are durable and long-lasting. With Polycom, you can rest easy knowing your conversations are delivered with precision. Take a Look. Get the Best Phone for You. Well-designed phones ensure clear communication, easy access to workers and customers, and less time wasted digging through manuals to figure out how features work. Phones might not grab headlines, but they get things done.